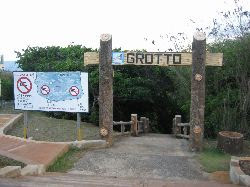 The Grotto is a must for the professional diver. 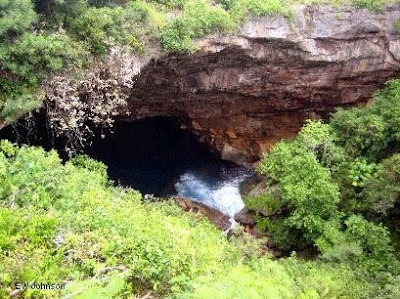 It is a large, deep, landlocked hole with an underwater cave leading to the open ocean. The hike down the steep stairs is challenging even without carrying scuba tanks. The currents are strong and dangerous so it is best to go with a guide. 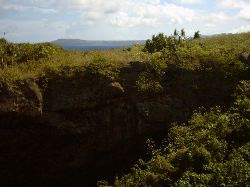 The picture above and the first three below were taken from the Grotto overlook which is a short, flat walk from the parking lot. Going down doesn't look so hard. The stairs look steeper going up. I LOVE THE GROTTO! If you have not been here you need to visit it! I Love it..it is a beautiful sight to see. I love Grotto!! Watching this video makes me miss home even more.. 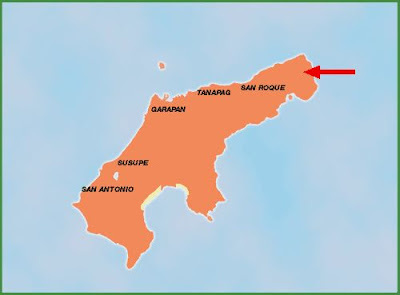 I'll be back, Saipan! !